I have been wanting to buy somethings off Beauty Bay for a long time but me being me wanted to wait till they were a sale on their site. When the sale eventually did come on the beauty bay website I ended up getting 2 lipsticks that were half price and a full price eyeshadow palette because just look at it OMG, love the name and its blooming huge. One reason I wanted to shop on beauty bay is that they have many brands that aren't available on other websites such as Hank & Henry and Jeffree Star. 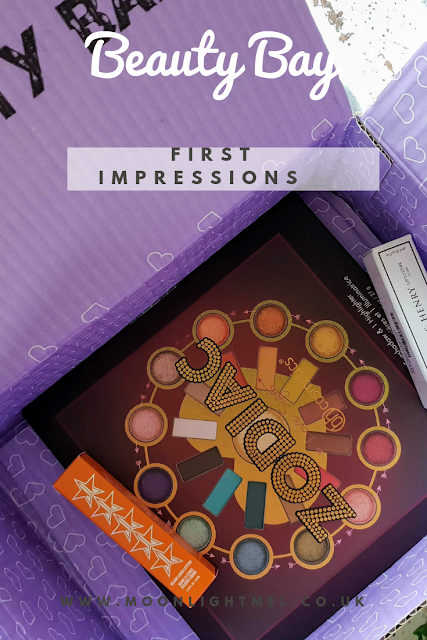 Not only are they fab for stocking premium brands they also sell a variety of budget-friendly brands too such as Makeup Revolution and Wet n Wild beauty. I bought 3 products; Hank & Henry Lip Lustre in Orale, Jeffree Star Cosmetics Velour lipstick in Corale Fixation and last but not least is the BH Cosmetics Zodiac Love Signs 25 color eyeshadow and highlighter Palette. It said to me on a Thursday when I ordered it that if you ordered it before 11pm that you would get it the next day but nope, I got it on Monday which was an ok delivery time but I was excited to get it next day but hey it came in good time and the products were packed well with packaged plastic to stop breakage of the eyeshadow palette. They come nicely in a decent size box with all of the products inside. The eyeshadow was wrapped in a bubble wrap type plastic to prevent breakage and the 2 lipsticks were placed next to them. Of course, I love all of the products. Its the first time I have tried 2 of the brands but they definitely have made me hungry to try more from them. The hank & Henry lip lustre has a lovely design that feels heavy and the wand is a teardrop shape, it also smells minty and has so much sparkly, its gorgeous. 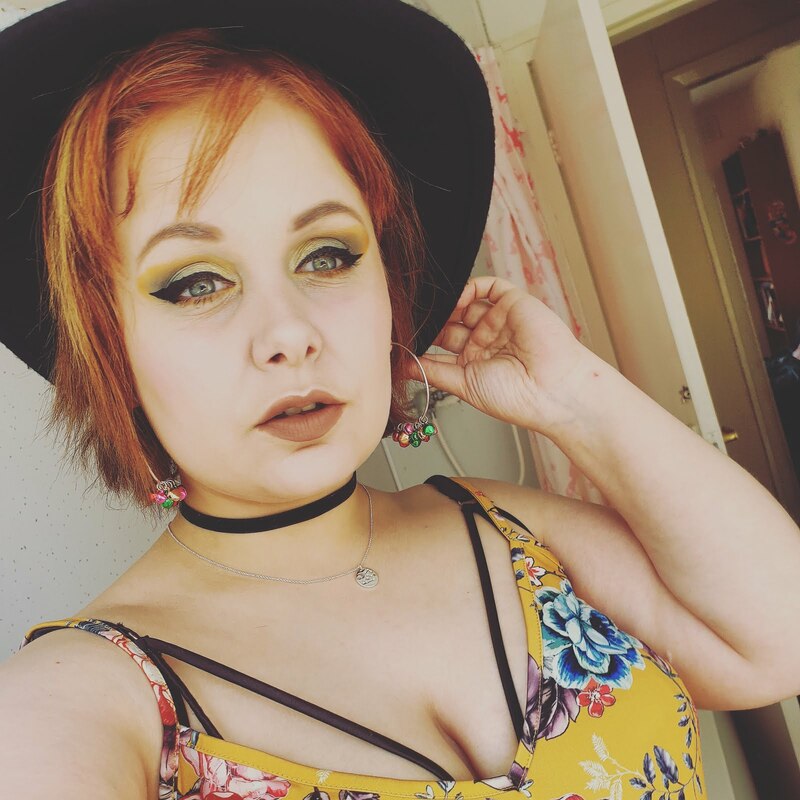 The Jeffree star lipstick in Corale Fixation is a lovely bright orange shade that stands out and is vibrant, it is not my favourite ( love celebrity skin more) but I am happy I bought it. 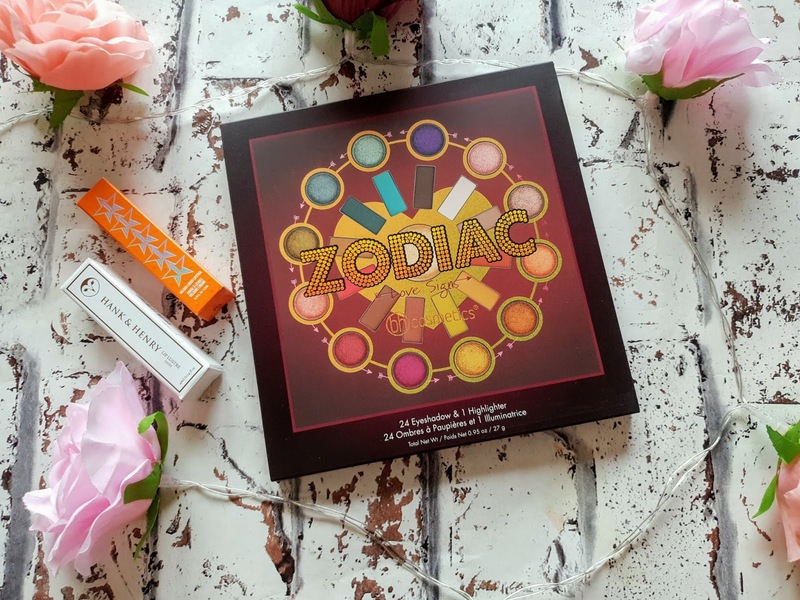 The BH Zodiac palette is just stunning, it has so many eyeshadows for the money and not just that you get a lovely highlighter in it too. They are a mixture of matte and shimmery shades and they are all vibrant and they all blend beautifully, can't wait to but more from the brand. Would I buy there again? Yes definitely would. Even though one of the eyeshadows was slightly damaged it was mostly ok so I won't complain too much about that. The delivery was fast enough and they were informative to where the parcel was at all times which is helpful to know especially when you have work or a day out planned. 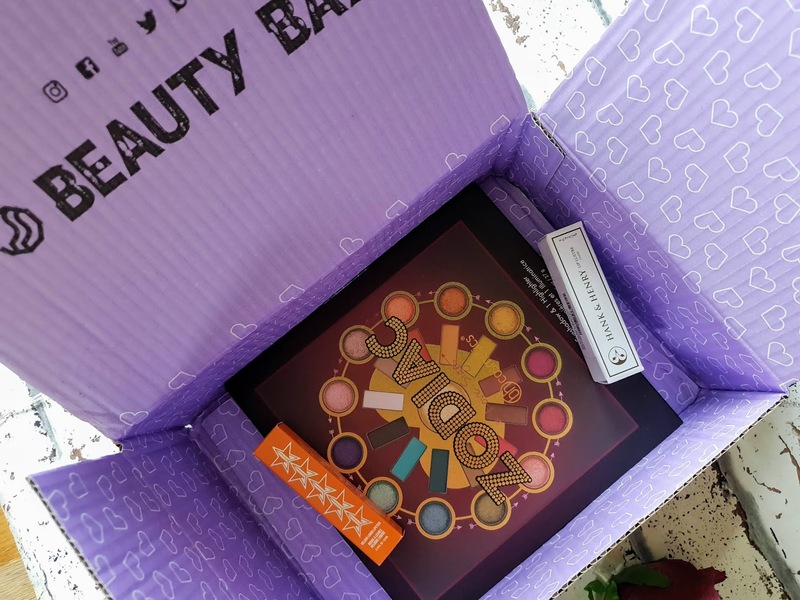 Have you bought anything from Beauty Bay recently?